All the home care professionals and caregivers employed by All Heart Home Care are registered, bonded, and insured. This feature takes the burden of potential losses or liability lawsuits off the shoulders of our clients. Also All Heart Home Care is a licensed agency and follows strict policies set by the state. People who acquire home care service of non-agency caregivers privately are not usually bonded or insured by homeowner’s insurance policies. Instead of becoming vulnerable to grievances due to caregiver job-related injuries and losses, it is best to hire caregivers through an authenticated agency like All Heart Home Care. All Heart Home Care also pays for the caregiver’s unemployment insurance (EDD), state payroll taxes, and federal payroll taxes. Many people that hire private caregivers don’t realize that they will be responsible for these costs out of their own pocket. Additionally, the processing of state and federal payroll forms will be the responsibility of the agency rather than the client. It is a much wiser decision to let a home care agency like All Heart Home Care be responsible for such paperwork and expenses. All employees of All Heart Home Care are considered agency employees rather than 1099 contract caregivers. This means each of our expert caregivers are fully insured under our professional liability and worker’s compensation insurance policy. Hiring 1099 contract caregivers usually do not have these safeguard insurance policies in place. For your complete peace of mind, caregivers which provide transportation care services are obligated to present a valid driver’s license and a Department of Motor Vehicle (DMV) report that reflects a safe driver’s record. We further strengthen and safeguard your security with our agency owned and non-owned auto insurance coverage. Additionally, our caregivers are fully bonded for theft or accidental damage of our client’s property. In conclusion, with All Heart Home Care being licensed, bonded and insured ensures that you receive reliable home care service along with the assurance of personal and financial security.  Call: 619-SENIORS to learn more about how All Heart Home Care protects our clients.